What is holistic hair care? According to Merriam-Webster, the term holistic is concerned with complete systems rather than with individual parts. As I have learned, I can’t look at the health of hair as an individual part. We need to address the whole body – as well as our environment – for healthy and beautiful hair. The Morrocco Method: Hair Products That I Will Use! I went more than a year without purchasing shampoo. True story. 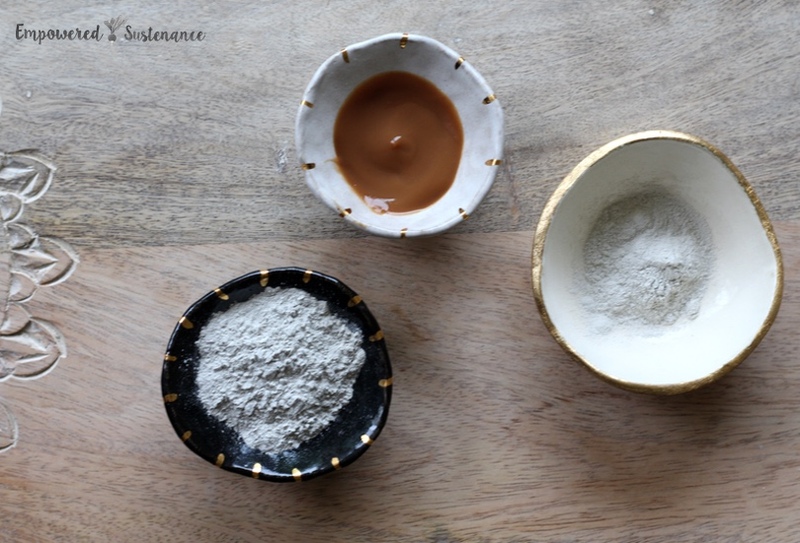 At first, I had a blast experimenting with different DIY shampoos and hair treatments. I gave No ‘Poo a try, with miserable resultsmiserable results. After a while, even though I was pleased with my DIY Honey Shampoo and ACV Rinse method, I was ready for a change (and my hair needed a change, too, see #2 below!). To my dismay, I couldn’t find a single natural shampoo and conditioner that met my ingredient standards and holistic hair care philosophy. That is, until a year later, when I was introduced to The Morrocco Method. This company offers a unique approach to holistic hair care, and their products transformed my hair. Chemical foaming agents, found even in “natural” shampoos may leave hair squeaky clean after the shower but can damage hair in the long run. In a vicious cycle, sudsing shampoos strip the hair of natural oils. This makes it look clean but, with all the protective oils washed away, the hair overproduces oil to compensate. In the long run, this leaves the scalp and hair unhealthy. You’ll find Sodium Laurel or Laureth Sulfate in most shampoos. Not only do both these chemical lathering agents strip hair of protective oils, they are highly toxic and are absorbed through the skin when we shampoo. Natural shampoos frequently replace these two ingredients with cocamide diethanolamine (DEA), a lathering agent made from coconut oil. DEA is on California’s list of Prop 65 list of harmful chemicals! I refuse to use any lathering shampoo because I want to gently cleanse my hair and scalp, not strip them. Just like we support wellness by rotating our diet, our hair thrives when fed a variety of nutrients. The Morrocco Method emphasizes this concept and created five different shampoos that each utilize unique cleansing agents. For example, the Apple Cider Vinegar shampoo uses raw apple cider vinegar and soapbark extract to cleanse and stimulate the roots. This contrasts the Earth Essence shampoo, which is a mixture of clays and essential oils designed to detoxify the hair and scalp. In my own experience – and, from what I’ve read, the experience of many others – my hair can gets lazy or resistant when I use the same shampoo over and over. You’ve got to keep rotating your products so the scalp doesn’t get reliant on a particular cleansing agent. To support a balanced scalp, alternate between at least a couple of the MM shampoos every time you wash your hair. A conditioner may boast the term “all natural” on the container but this can be far from the truth. Even the purest of ingredients can be mutilated with chemicals and harsh processing, rendering the final product a freak of nature. Obviously, this carries consequences for our health, since we absorb approximately 65% of what is applied on our skin. One majorly problematic ingredient in “natural” hair care is fragrance. Like the term “natural flavors” on food, this term means we don’t want to tell you what this is. “Fragrance” on a label can mean up to 4,000 separate ingredients – synthetic ingredients that are connected to a myriad of health disorders ranging from rashes to cancer. “Natural” hair care may also disrupt the cycles of the hair by stripping the natural oils and irritating the scalp with harsh ingredients. Holistic hair care uses pristine forms of ingredients to honor the growth cycles of hair. We must cleanse, nurture, nourish, detox… all the components required for a healthy body should be applied to your hair care routine. Hair dye is notoriously dangerous. 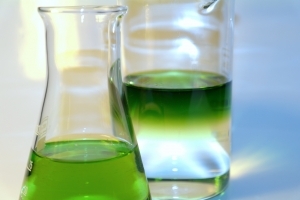 Europe is far ahead of the U.S. in addressing the toxins in hair coloring products. In 2007, the European Commission issued a ban on 22 hair dye substances. Henna provides a safe and natural alternative to color hair, but, as many of you know, obtaining the correct shade of henna proves a challenge. The Morrocco Method offers a range of henna dyes from light blonde to red to black, and even a colorless version to add silky shine to hair. The Morrocco Method’s line of henna – unlike some other hennas and most hair dyes – can also be used to color beards and eyebrows. I use the light brown henna to add highlights, and it works as a deep conditioning treatment. I also use a blend of the black and dark brown henna to tint my naturally blonde brows to match my brunette hair. We know that toxins from our environments and food builds up in our bodies. A hair detox provides a super deep cleanse to remove residues and encourage a healthy scalp. 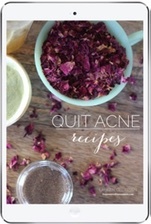 The Morrocco Method offers a unique product called Zen Detox, found here. For cancer patients or prevention, and those with a compromised immune system, Zen Detox is an ideal product to include safely with other forms of treatment and will assist greatly in detoxifying chemical residuals. Zen Detox is also wonderful for people who live in hard water locations, as well as swimmers or gym members who use chlorinated pools and incur a toxic buildup of water treatment chemicals. The herbs and spices enhancing our unique Zen Detox formula helps eliminate the chemicals, heavy metals, and often carcinogenic exposures of daily living. 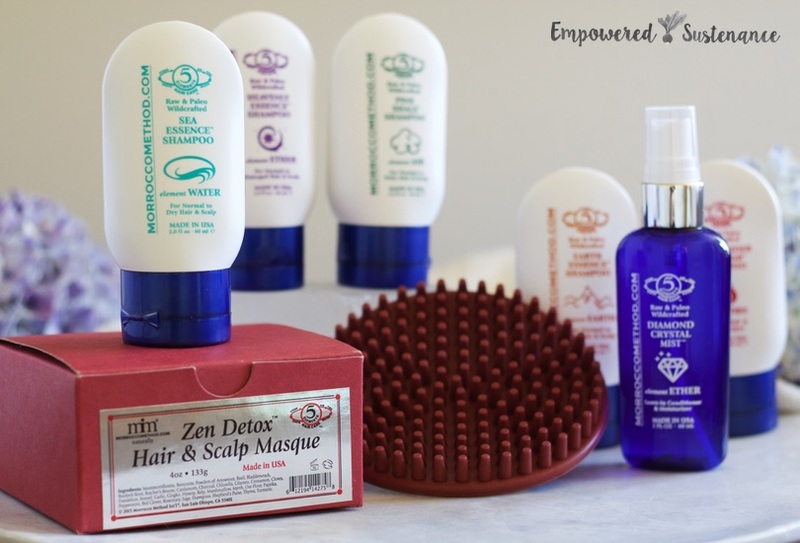 After using Zen Detox for the first time, it seemed to pull off a whole layer of gunk from my scalp and hair. After rinsing and letting my hair (air) dry, my thin hair literally doubled in volume and seemed to boost my hair’s naturally wavy texture. All the junk it loosened from my hair required that I shampoo the next day, however. After this wash, my hair looked – and felt – more luxurious than it has since my pre-colitis and pre-hypothyroid years. Most of us face a particular hair challenge. Mine is thinning hair. Since I was 14 and first diagnosed with my autoimmune disease, I have struggled with extreme hair loss. This partly a side effect of the numerous medications I tried (without success) and partly due to my illness. The most discouraging point was, at age 17, I went to get color-matched for a wig. I knew that if things kept going the way they were, I would need a wig soon. 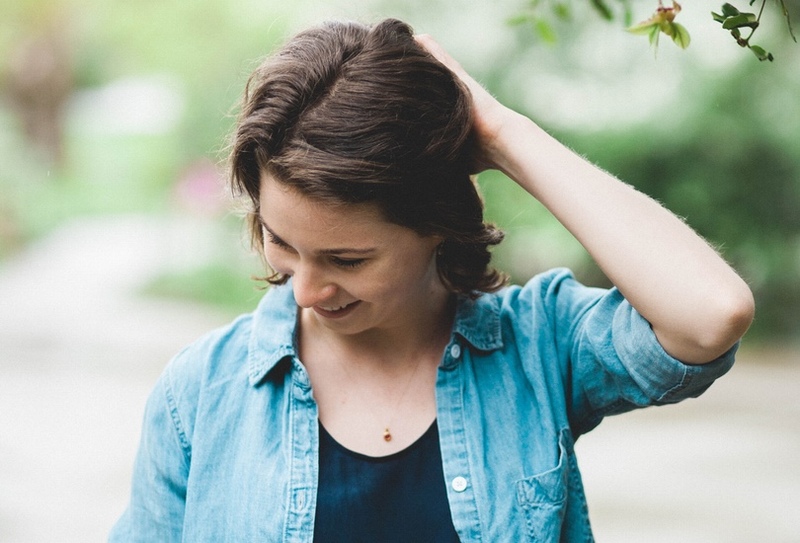 I’ve updated this post in 2016, and am happy to report a full head of hair. I’ve been following a healing nutrition protocol for five years, and have been off medications for that long as well. 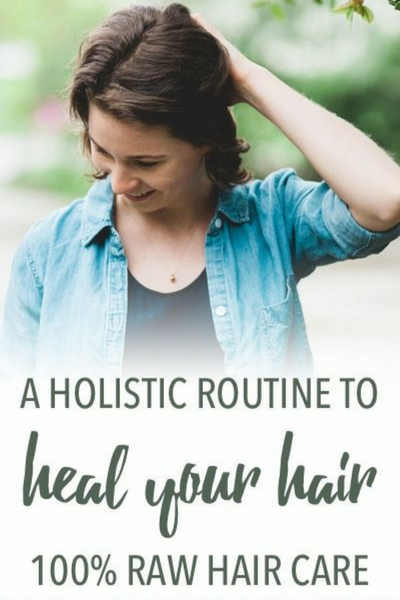 I’ve used Morrocco Method for four years now, and it has been foundational to my healthy hair journey. After my first wash with the Pine Shale Shampoo, I couldn’t believe my pre-shampoo hair was my post-shampoo hair. After letting my hair air dry, it was silky soft with more volume than I’d had in years. An no frizz… none! The most remarkable thing is that the results get exponentially better the longer I use the products. After every wash, my hair is softer, more voluminous, and without frizz. I alternate between all the shampoos. These each boast a very light, herbal fragrance. I am super duper sensitive to synthetic fragrances, so I adore these lightly fragrant shampoos made with only pure, raw ingredients. These shampoos both leave my hair silky and give the roots amazing volume that lasts for at least two days. I use the Zen Detox once per month. This is an insanely powerful and all-natural root volumizer – I love this stuff! Although gentle, it works to effectively deep clean the scalp and roots. I save this to use the day before a special occasion because of the volumizing properties. I find that conditioner is not necessary when using Morrocco Method shampoos. I do like to use the Crystal Mist Conditioner, however, to add extra shine. Spray it lightly when your hair is wet and don’t rinse it out. It makes a great detangler and adds shine and softness. You can also spray it on directly on the scalp to sooth any irritation. It is naturally anti-microbial and helps prevent/reduce dandruff. All of these products are included in my Empower Your Hair kit, which I created in collaboration with Morrocco Method. In the kit, you’ll save 30% on my favorite products. Save 30% on my favorite products with my Empower Your Hair package is available here. No coupon code is required to get the savings. Have fun with your holistic hair care journey! I am trying to figure out if this hair treatment or set of products helps with itchy scalp and dandruff issues. I cannot find any FAQs any where on the site (even though there is a page that says some are “down below”. But it does not look like anyone answers on this blog anymore either — it is a long while ago that responses seem to appear. So without any information on whether this hair product line helps with dandruff and scalp skin issues, I guess I need to keep looking…. I use ‘new wash’. No dandruff, no itchy scalp any more! 1. Have you noticed your hair growing faster with using the shampoos? 2. Can you wash your hair less or do you notice it doesn’t get oily as quickly? 3. I have thin hair, this kinda is my reasoning behind question 2 but do you notice your hair being fuller? 4. Has your hair got thicker since using these products? hello! My hair seems similar to your- their website suggests rotating all five of these- do you use/ rotate all five of these shampoos? Or just the two you have noted above? Would it be okay to use the ACV rinse after shampooing? My name is Hania Dernaika and am sending you a message alllll the way from Lebanon, i am sure I’m your first from such a tiny country, i have recently been following your journey to a healthier life style and i am embarking a healthier life myself slowly but surly …. so regarding my hair well its been a struggle for me since ages and am looking forward to trying this product on my hair BUT the thing is do you ship to Cyprus??? and i said Cyprus cause i have a house there and i usually send stuff there cause shipping to our country is a nightmare, so before starting to talk about my hairs condition, maybe you can answer to my question, hope to hear from you very soon and mean while i am learning every day something new from your site , keep them coming , have a great day …. I just came across your site. Is it still an active site? And how do I subscribe? The last comment was July 23, 2016 with no responce yet. Hope to hear from you soon. Sorry to be saying this Lauren, but if you are going to post a blog, it’s reasonable to expect you to answer your readers questions. It’s disappointing that you don’t. I won’t be coming back to your site for this reason. There are plenty of other hair care sites equally concerned about chemicals – who respond to their readers! Yes, I agree! I’ve just looked at all your products here, became very interested, but after reading all the comments people left you, and the questions that were unanswered! You need to do better in that department. Could result in lost sales. Donna, I understand your concern but I’m not able to answer all the blog comments I receive. If I did, it would take too much time away from creating new content to support you and others here. So I do my best in responding, and the comments I don’t respond to I keep in mind to answer for in future blog posts/newsletters/social media posts.